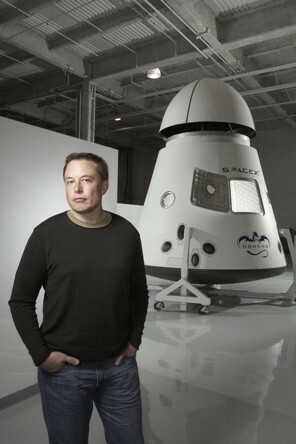 Enterprising entrepreneur Elon Musk, the man responsible for Tesla Motors, SpaceX and PayPal, is looking to expand his reach into space. He recently outlined plans to build a colony on Mars as part of a public-private joint venture that could house up to 80,000 individuals. Those wishing to relocate to the Red Planet won’t have to fork over as much money as you might initially think. Musk says that half a million dollars per person is all that’s required for a ride on a reusable rocket powered by methane and liquid oxygen. The first group of Martian citizens would be limited to 10 people or less, he said. It’ll take a lot more to make the project a reality, however. Estimates put the cost somewhere in the $36 billion price range. Early inhabitants would be sent with the necessary equipment to grow crop and use the nitrogen and carbon dioxide on Mars to their advantage. Utilizing subsurface Martian ice is also in the plans, according to the South African entrepreneur. This isn’t the first time that Musk has talked about his ambitions to explore our solar system. In August he said he believed he could put a man on Mars within 12 to 15 years. He said he was confident that it could be done. He backed up those claims a month later during an interview with CBS This Morning, claiming he had worked out the calculations two years prior that would be necessary to make it happen.